I wish that I could tell you all about what Phoenix was like in 1989, but of the more important things, like what was going on in the news, etc., I have no memory. But I know that I was there, because a friend of mine took this photo. I had just moved back to Phoenix from LA, so most of my thoughts were comparisons of the two places. And no, I'm not a big Dodgers fan - I just got the hat for on "free hat" day, and it was the only game I ever went to, and it was probably the only baseball cap I owned for a long time. The price was right! The photo is from December so I was probably wearing it to help keep my head warm. I recall that my friend and I went up to Sedona that day, so it was probably pretty chilly. And by the way, that's a Coke that I'm opening up there, getting ready to drive. I don't recall that the Mustang had any cupholders so I probably just held it in one hand as I drove. When that photo was taken I was still collecting unemployment from California. I had been laid off from a great job there in April, and had floundered for a few months there, then decided to visit an old friend in Phoenix in July (I had forgotten how HOT Phoenix gets! ), and one day I wandered into this apartment complex, called the Greens, which was on a beautiful little 9-hole golf course called El Caro, put a deposit down, and decided to stay in Phoenix. Sadly, that golf course is long-gone. I visited the area a couple of years ago and you can still see the outlines of the course, but it's all just dead weeds now. I wonder what they'll do with the land? On the southern edge of the course, along Northern, there are now new buildings, so you'd never suspect that there had once been a golf course there. Aside of the harsh realization of how hot Phoenix was, my comparison to Los Angeles was always favorable. Everything, especially rents, were much cheaper, and to my eyes people just seemed more friendly. And there was a lot less traffic! In fact, decades later (people don't believe me) Phoenix traffic isn't nearly as bad as LA. I lived there throughout the eighties and I always carried a book in my car when I drove on the freeway. When traffic came to a complete stop I would put the Mustang in park, and read for a while. When traffic started moving, I'd move along. I rarely took freeways, but sometimes you just had to. Mostly I took surface streets. Speaking of which, when I used the term "surface street" in Phoenix in 1989 it made no sense to people. Aren't all streets on the surface? There simply weren't enough freeways back then to make that kind of differentiation. People know the term now. The following year I started working for a bank called Valley National Bank, as a graphic designer in their corporate offices. And the rest, as they say, is history. Thank you for visiting Phoenix in 1989 with me! 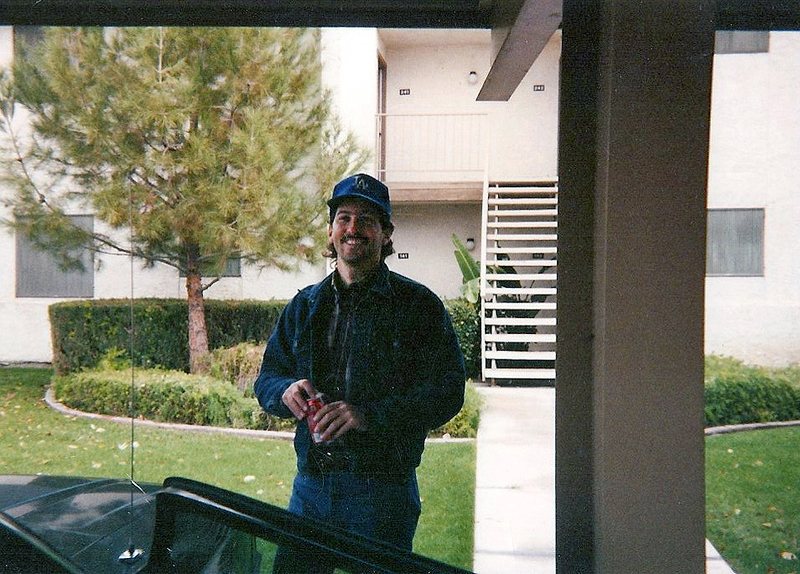 Photo at the top of this post: At the Greens Apartments in 1989 8445 N. 23rd Avenue, Phoenix, Arizona. The apartments are still there, but the golf course isn't.